A 250-acre farm and an abandoned water-bottling plant, next door to each other in the Delaware County town of Kortright, are set to become the new headquarters of 212 Brewing Company, a three-year-old business setting up shop in the Catskills. Owner Don Trooien has been brewing under contract at other production facilities for more than two years while searching for the right location to grow his ingredients, brew his beer and serve customers. He found it at the intersection of Route 23 and North Road. 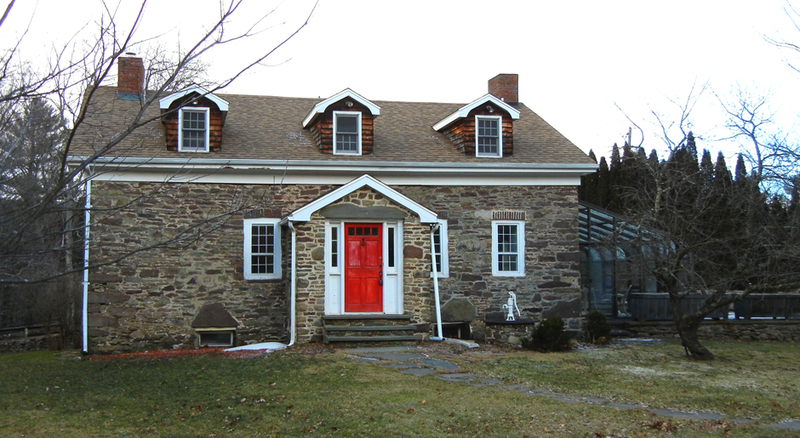 Known as the Stone Cottage Farm, the first property includes a modernized 1790s-era farmhouse, a 6,000-square-foot barn and a guest house. The farmhouse will serve as a tasting room and restaurant, while about 150 of the 250 acres will be used to grow hops and grains. “My mission is to use 100 percent New York State everything — hops, grains, water, bottles, labels, caps,” Trooien said. The farmhouse kitchen, which will serve as a tap room. Photo courtesy of Coldwell Banker Timberland Properties CatskillPremier.com listing. Trooien knew the former horse farm, with its gorgeously restored main house, open fields and plentiful outbuildings, would work for the retail and crop-growing aspects of the project (see a video here). When it came to sourcing water, though, he happened into a bit of luck. While working with real estate agent Carol Spinelli of Coldwell Banker Timberland Properties on the farm purchase, the pair discovered that an adjacent 16-acre parcel was also for sale, through the county’s Industrial Development Agency. The smaller property had previously functioned as a bottling plant for one of the Catskills’ most popular exports. Wissahickon Mountain Spring Water, a Philadelphia-based company, had shuttered its Bloomville operation about 10 years ago. The company subsequently fell behind on its taxes, landing the property in the county’s possession in 2014, said Glenn Nealis, the IDA’s executive director. Natural springs at the former Wissahickon property yield 12,000 gallons a day of Trooien’s key ingredient. The 20,000-square-foot factory is well-suited for a new use as 212’s brewhouse, with its high ceilings and industrial infrastructure. The IDA provided about $100,000 in seller financing on the Wissahickon property, and helped Trooien secure a $210,000 grant through the Empire State Development Corp., Nealis said. The grant will go toward renovating and upfitting the factory building. After a three-year ramp-up, Trooien expects to produce between 50,000 and 70,000 barrels annually, and employ between 25 and 40 workers. His longer-term goals include acquiring a total of 500 acres for more crop development, reviving the water-bottling business and adding a distillery. Eventually, Trooien hopes to showcase his Catskills operation in a micro-version of the brewery in Manhattan. A 1790s-era farmhouse and adjacent barn, guest house and outbuildings make up the new home of 212 Brewing Company. Photo courtesy of Coldwell Banker Timberland Properties’ CatskillPremier.com listing. In the short run, however, presuming all goes according to plan, 212 Brewing Company will join the growing ranks of Catskills farm breweries later this year. Other projects in the works include a new brewery on Route 28 in Ulster County, also set to open in late 2016. Licensed under legislation designed to encourage craft beverage-makers to incorporate New-York-grown agricultural products, farm breweries have been exploding. As of the end of 2015, 106 farm breweries now flourish statewide, according to the NYS Brewers’ Association. 212 Brewing Company sold its first keg of its first beer in January 2014. An American pale ale called Flatiron Ale, it’s been well received in the urban market, selling in 75 bars and restaurants, including iconic, upscale venues such as 21 Club and the Four Seasons. Two more beers, a South Street Seaport IPA and a Park Avenue Pilsner, are scheduled to debut in the first quarter of 2016. A stout will be the next to emerge in the product line, said Trooien, a Minnesota native whose love of New York City shines through in his marketing. Such wonderful memories of the many, many hours spent here with the previous owner and friends at this beautiful, historic farm. Boarded my horse here for many years – it truly was horse heaven❤️. Happy to see it will be put back to use, improved and even bring some jobs to the area. It’ll be great to be able to enjoy a beer or a meal and reminisce about all the good old days spent there. Many a great trail ride started at the barn and ended at the house with good food and drink with some great people. Good luck on your future endeavor with Stone Cottage Farm. Good Luck with your venture in the Catskills. I moved to Andes from Queens about 32 years ago and have never regretted it. It is a nice place to live and you will enjoy the peaceful quiet and to rolling hills. So enthused about this economic development prospect for this area! Good jobs are needed here. Having lived in this area since birth and throughout most of my life life, I’ve experienced the rise and fall of the local economy. This venture suits the natural beauty of the area in every way and preserves the land and heritage of this great property. Good luck! Wow this is 10 minutes from my farm I’m on Turnpike rd… time for a visit.